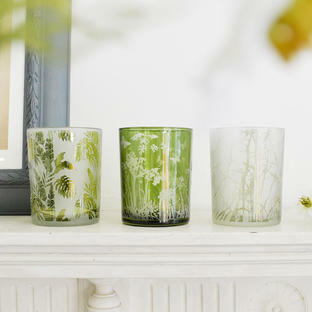 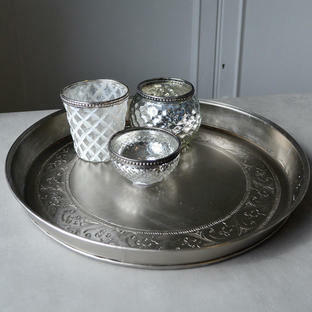 Group these votives on a mirrored tray or over-sized plate for dramatic effect. 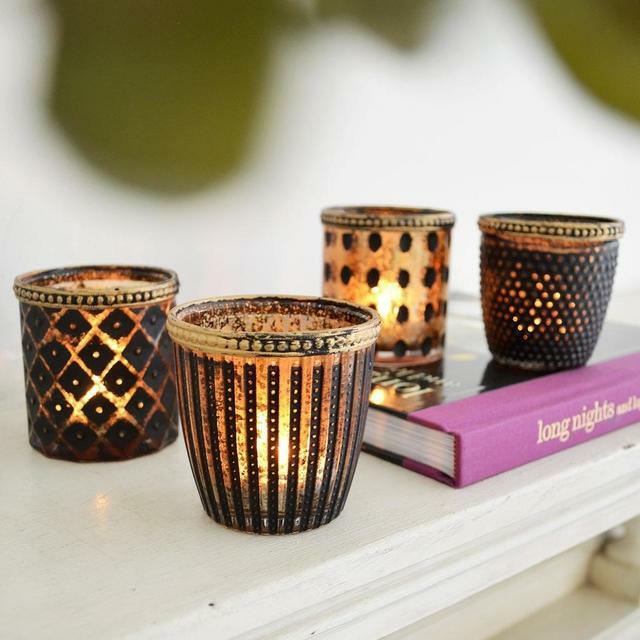 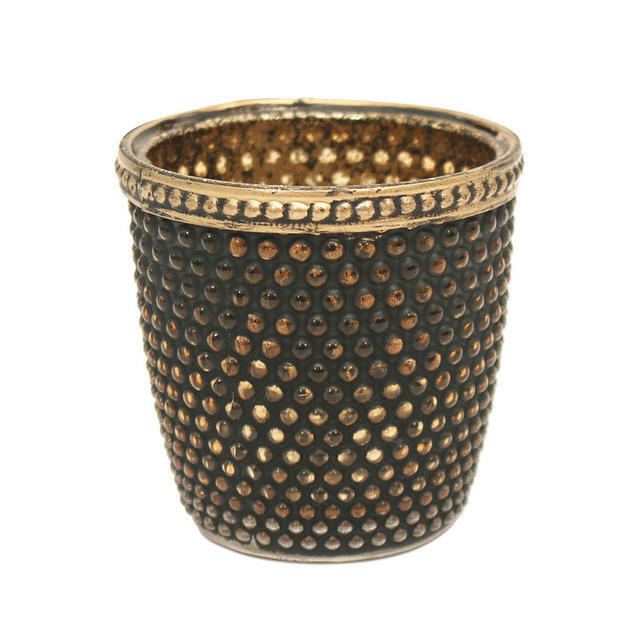 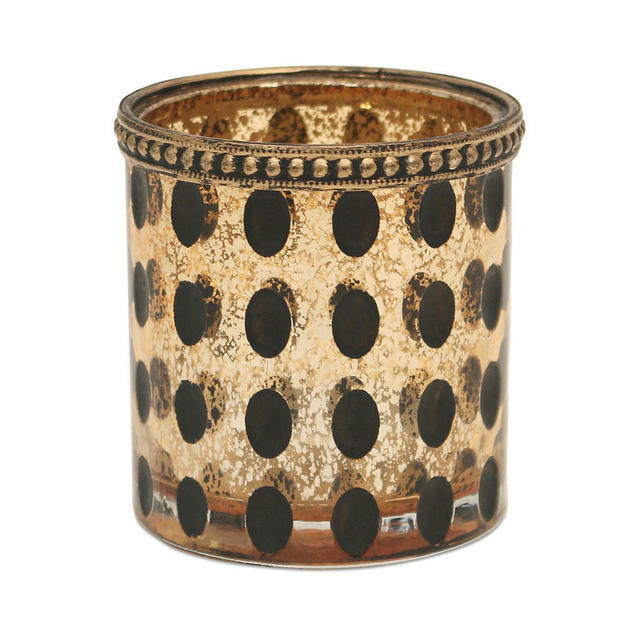 Create a stunning tea light display with this collection of black and gold/bronzed glass tea lights, mix and match the different designs. Simply add a tea-light and the votives will shimmer and twinkle with the candlelight. 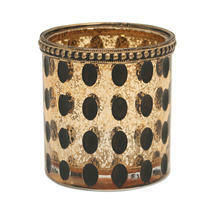 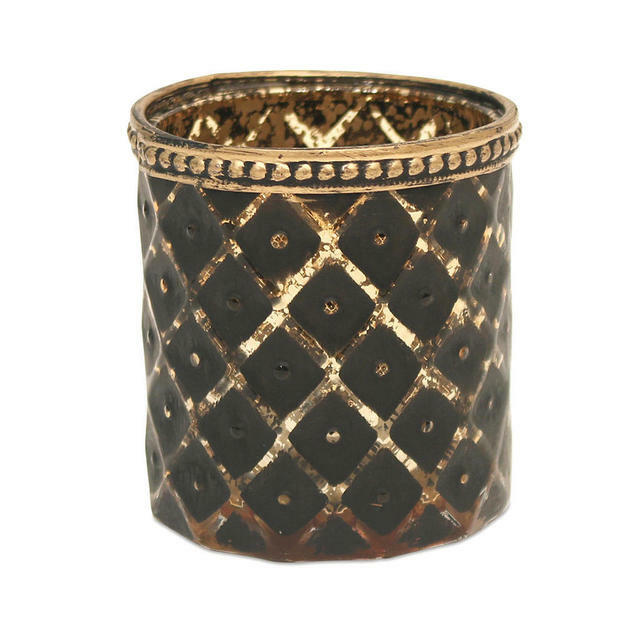 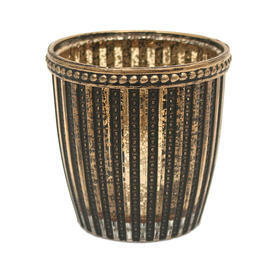 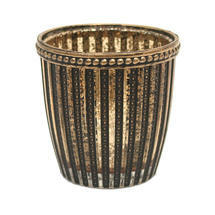 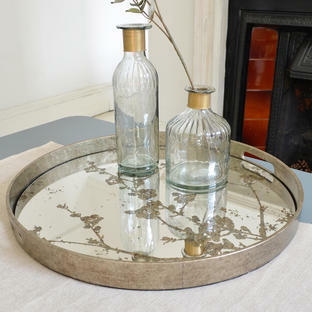 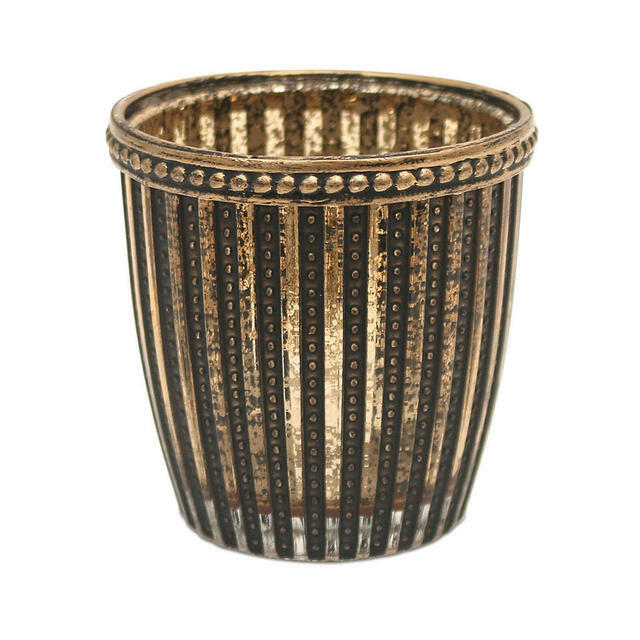 Made from glass with black and gold/bronze antiqued finish.